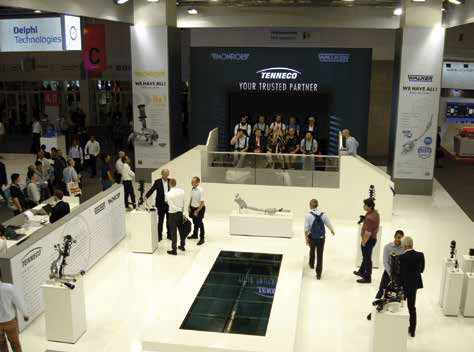 Automechanika 2018 – Celebrating its 25th Anniversary of aftermarket innovation with remarkable record breaking achievements. 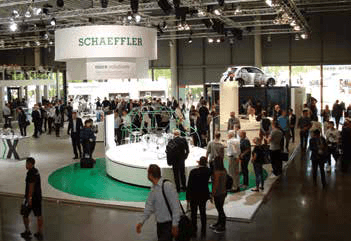 Automechanika Frankfurt, the biennial global automotive aftermarket trade fair, celebrated its 25th anniversary in 2018. In 1971, the Frankfurt Motor Show was cancelled due to a global economic crisis. After a suggestion from a leading German business magazine editor to run an expo in its place for automotive workshop tools and equipment, within the short timeframe of seven months, Automechanika was born. A total of 415 exhibitors from 67 countries took part in that inaugural event, along with 71,000 trade visitors. Fast forward 47 years and this flagship biennial automotive aftermarket expo hosted more than 5,000 exhibitors and 136,000 trade visitors hailing from 181 countries, continuing this event’s remarkable record breaking achievements. The incredible success story that is Automechanika also reflects the constant growth and innovation of the global automotive aftermarket, which now finds a total of 16 Automechanika Trade Fairs in successful operation across 15 countries, headed by the biennial Frankfurt show, which is by far the most impressive global showcase of our industry. A total of 12 multi-level exhibition halls covering more than 366,000 square metres along with 66,000 square metres of outdoor space welcomed this year’s event held from September 11 to 15 – and it didn’t disappoint. New repair technologies were showcased to wide trade visitor acclaim along with a record 120 products and services entered for the Automechanika Innovation Awards, clearly displaying the growth of the automotive aftermarket through the constant innovation of high tech repair, service and tooling technologies. The OE Products and Services category Award went to Spain’s VALEO Services for their R-744 Air-Conditioning System that operates without any chemical refrigerant, the first in the world that uses a natural refrigerant. One third of the Automechanika Innovation Award entries came from Germany and two thirds from abroad. The Parts and Components category award was won by Italy’s FIAMM for their AGM PowerCube batteries for trucks. Germany’s Osram took out the Elecronics and Systems award for their Golf VII LED Headlamp, while Spain’s Enganches y Remoques won the Accessories and Customising segment for their IntegraLED trailer socket. The Repair and Maintenance award went to Germany’s Meyle, for their HD Slotted Bush Kit and specially developed tool for replacing defective BMW rear axle control arm bushes. Germany’s AVL DiTEST won the Repair and Diagnostics category for their Acoustic Camera designed to exactly locate the source and intensity of engine or drive train noise. Germany’s PE Data took out the Dealer and Workshop management award with their QR.VIN sticker concept. These stickers remove the hassle of parts ordering by being activated instantly at a workshop to automatically order exact replacement parts by scanning the sticker QR code. Also from Germany, Bosch won the Alternate Drive Systems and Digital Solutions Award for their Bosch Common Augmented Reality Platform that offers videos, images and explanations for technical training. The Classic Cars Products and Services category winner was AVL DiTEST for ther Multisense 1000 Oscilloscope Sensor which has several uses including being an ignition stroboscope, dynamic luxmeter, optical light-reflex sensor, dynamic microphone, stethoscope, magnetic-field detector and an LED torch. The final Automechanika Innovation Award was in the Truck Products and Services category and this was presented to Knorr-Bremse Systeme fur Nutzfarzeuge of Germany for their Electronic Air Control system that integrates clutch compressor control and electronic parking brake control in a modular serviceable unit. 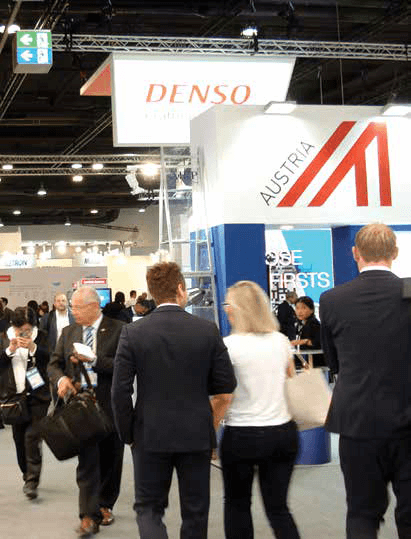 Along with innovation, every global company in the automotive aftermarket industry was represented at Automechanika 2018, including a contingent from Australia both within the country’s own pavilion and on independent stands. 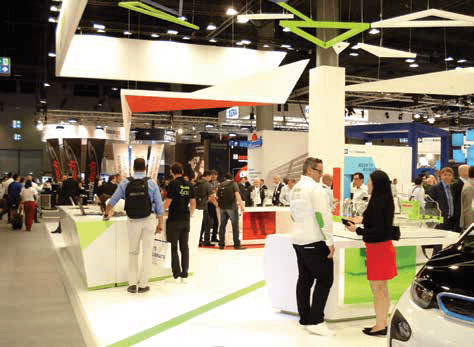 As with every Automechanika event staged in Frankfurt and around the world, the five packed days included countless Automechanika Academy seminars, training sessions, press conferences, product launches and business networking events. This year’s 25th event at Frankfurt saw the debut of REIFEN at Automechanika. REIFEN is the leading international tyre industry trade fair which saw the huge new Hall 12 filled with everything that the world has to offer in wheels and tyres from mining vehicle wheels and tyres to state of the art performance specification wheels and tyres. The addition of REIFEN to Automechanika ensured that no stone was left unturned in the automotive aftermarket industry and it was well received by many thousands of visitors this year. A departure from the norm at Automechanika 2018 was the renaissance of high end aftermarket sound systems. The German Sound Quality finals also took place at this global event to discover the best aftermarket vehicle sound system in the country. This proved without any doubt that just as motorists like to personalise the looks and performance of their cars, there is also growing demand for the development of aftermarket car audio and video systems even in this age of fully integrated audio and video systems being standard in modern cars. From discreetly integrated aftermarket high end sound systems to the supercharged bass systems, the European Mobile Media Association displayed some of the most impressive automotive audio visual systems the world has ever seen. The Automechanika Trade Fair focus on industry growth and providing complete one stop destinations to learn and advance global automotive aftermarket business, makes visiting these events both important and highly worthwhile for those who seek to grow their automotive aftermarket industry businesses. The next Automechanika Frankfurt Trade Fair takes place from September 8 to 12, 2020.